Both kind of artists use mainly brushes to apply the color, most of the body paints are watercolor (with dense pigments for total coverage) It takes hours to create body paintings and the name of the game is shadowing and using the body curves to paint the illusions. Just like watercolor painters have to master their tones to create the right shads to shadow objects and scenes. 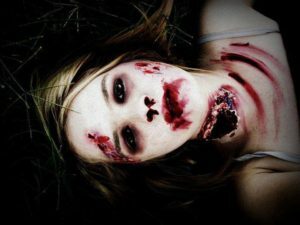 Body painters usually work with a make up pencil to draw the lines and areas they later fill with colors. Many watercolor artists do the same, they draw an their canvas the outlines for their painting and later fill he lines with their wet paint. Kendra Matthews has been working with both mediums, body painting and watercolors for some time, she has made a short video reviewing our folding watercolor palette. During the video she paints two Pokemon figures and shares her thoughts about the mixing areas, the watercolor beading, the paint wells and also the gift brush which was inside the package. Now you can save by ordering the bundle set! 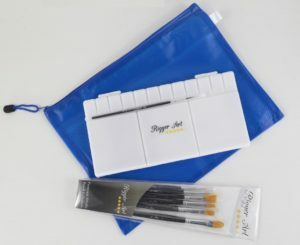 Including 6 watercolor brushes, and the large folding palette and a zippered mesh bag to carry your art supplies. 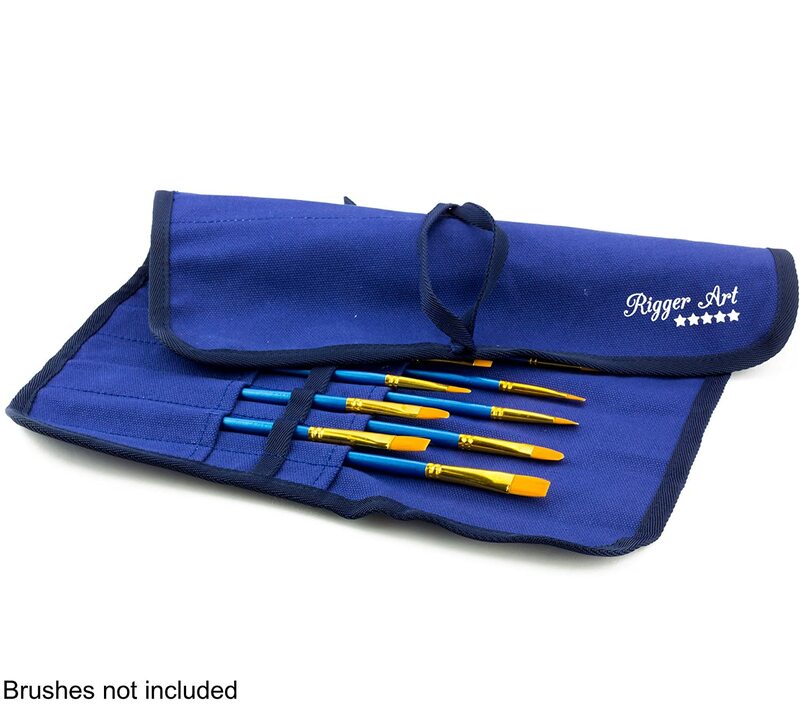 This bundle is great for the artists on the go, who take their art supplies outside to paint or to their workshop or art class. Or if you are a makeup artist, to pack your makeup and creams to the studio or film set. Click to get the bundle deal within days to your home, Painters bundle kit – Including 6 brushes, folding palette, and carry on bag for your art stuff. This entry was posted in Folding Palettes, Videos and tagged Acrylic palette, Acrylic Pallete, Folding Palette, Set Up Watercolors in New Palette, Travel Palette, Video Review, Watercolor Pallet by RiggerArts. Bookmark the permalink.